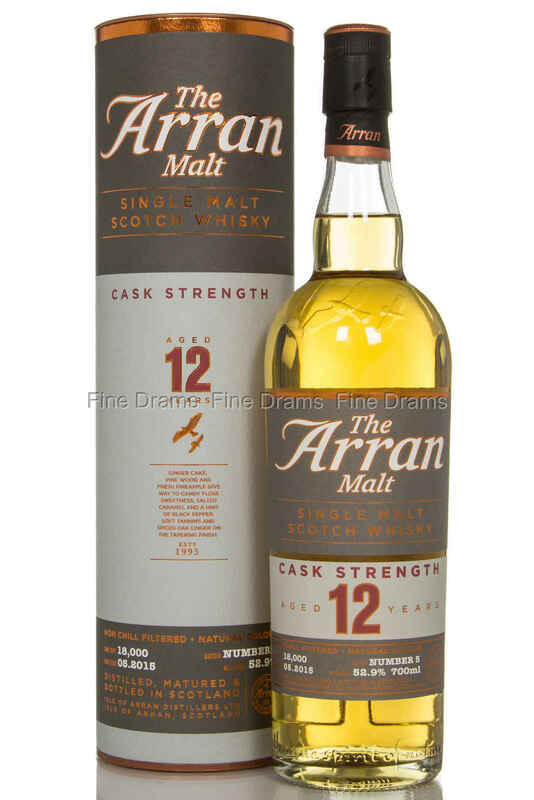 The fith edition of the highly acclaimed Arran 12 year old cask strength. One of the previous batches which won double gold at the San Fransisco Spirits Competition 2013, sets high standards for this batch. Master Distiller James MacTaggart selected some of the finest first fill sherry butts, second fill Sherry Hogsheads and bourbon barrels, and married them all together before bottling at natural cask strength, un-chill-filtered with no colour added.